All of our Peru Amazon River cruises depart from Nauta, Peru. Even though you'll start and end your cruise at the Iquitos airport, you will need to get to Nauta from Iquitos to board your riverboat. Iquitos is the largest city in the Peruvian Amazon. Given its remote location, surrounded by dense jungle and tributaries, Iquitos has no road connecting it with the outside world, making it accessible only by air and waterways. Whilst it is possible to take a multi-day boat ride along the Amazon to reach the city, most visitors choose to take a direct flight from Lima for greater speed and comfort. The nearby city of Nauta, is a major hub of Amazon river boat activity in Peru, meaning you may well need to travel here from Iquitos. Below, we’ve outlined just how this can be done and what you can expect from some of the destinations you’ll encounter along the way. A couple of decades ago there was no road connection between these two cities, with locals and travellers having to embark on a 12-hour journey along the Marañón river to reach Nauta. But in 1999 a dirt road was constructed linking the two destinations, and later upgraded to asphalt in 2005. Thankfully now, the journey between these cities is a straightforward 90-minute drive south along the 84 kilometer highway. 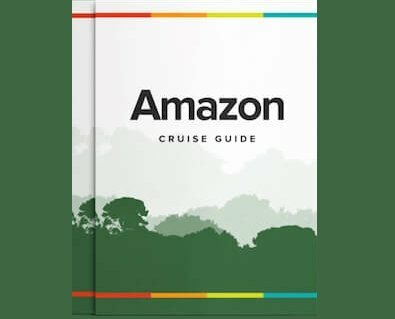 As part of your Amazon cruise package, you’ll be met at Iquitos airport by our guides and transferred to Nauta in a comfortable air-conditioned private van. Nauta can still be reached by boat, should you prefer a more traditional and authentic, though undoubtedly slower transfer. There are a couple of speedboats departing Iquitos daily, with a journey time of 8 to 10 hours. Small aircraft also charter the route between the two cities, with a flight time of just under an hour and a half. Whatever means you choose to reach Nauta, you may want to take some time out to explore the thriving city of Iquitos either before or after your river cruise. Situated along the banks of the Amazon, a little way downstream from the confluence of the Ucayali and Marañón rivers, Iquitos has a thriving population of 500,000 and more than enough to keep the curious visitor occupied for a couple of days. We recommend exploring the absorbing markets in the floating town of Belén, taking a walking tour of the historic center, and sampling mouth-watering rainforest cuisine in one of the elegant restaurants that populate the buzzing riverside. Together, Iquitos and Nauta are the two major launching pads for exploring this remote and unique corner of Peru’s pristine rainforest. River cruises from these locations head for Pacaya Samiria National Reserve, a vast area of jungle spanning over 20,000 square kilometres (5 million acres) of unspoilt wilderness. The flooded forest in this region - which has given rise to its nickname “Jungle of Mirrors”, owing to the striking reflections in the water - is home to an astonishing array of animals and plant life. This is one of the most biodiverse places on Earth and a river cruise offers the unparalleled opportunity to witness iconic Amazonian species such as pink river dolphins, caimans, giant turtles, macaws, otters and plenty of extraordinary birdlife. If you’d like more advice about getting to Nauta from Iquitos, or about any aspect of our Peruvian Amazon river cruises, please contact our Travel Specialists.